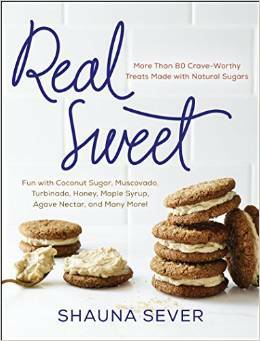 The concept of the cookbook Real Sweet by Shauna Sever is interesting - it's all about using sweeteners that aren't standard sugar. So, no white sugar or supermarket sugar, but no artificial sweeteners, either. 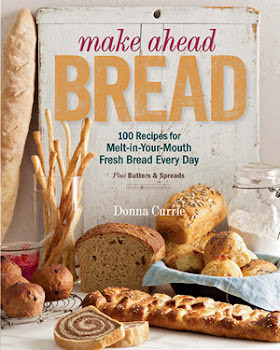 You'll find recipes that use coconut sugar, maple sugar, agave nectar, honey, turbinado sugar, and other natural sugars. Whether these are better for you than white granulated sugar - well, I'll leave that up to you. On the other hand, many of these alternative sugars give you one important thing that white sugar doesn't - more flavor along with the sweetness. There's a reason we put maple syrup on our pancakes, right? Speaking of maple, I decided to make maple sugar butter cookies. I like maple and I like butter and I like cookies ... so ... why not? Well, one reason you might not want to make these cookies is that maple sugar is pretty expensive. So I'd suggest making these for special occasions. I happened to have maple sugar hanging around that I'd been hoarding for quite some time. I'd gotten it from several different sources, and it was just waiting for a recipe. The funny thing was that although I had the maple sugar and all the other ingredients, I didn't have the required whole wheat pastry flour. I thought I had some, but when I went to get it, the box was actually unbleached cake flour. Oops. I was pretty sure my local supermarket didn't carry whole wheat pastry flour - heck, I wasn't sure if they had regular pastry flour - so I made an executive decision and used white wheat flour instead. The cookies turned out really well - buttery, with a little nuttiness from the whole wheat, and a mild maple flavor. Next time I'm ordering specialty flours, I'll probably pick up some whole wheat pastry flour, so I can see what the difference would be. Or next time I might try regular whole wheat flour or even all purpose flour. I think all of them would produce good cookies, but of course there would be some differences. As I was making these, I found one flaw with the recipe. While everything else was very detailed, it didn't say how long to bake the cookies - it just said to cook until the cookies were lightly browned on the edges and on the bottom. I made mine slightly smaller than the recipe called for - I like small cookies - and I ended up with three dozen cookies instead of two dozen. The baking time was around 14 minutes. So if you make these, figure it will be about that long. Preheat the oven to 35 degrees and line 2 or 3 baking sheets with parchment paper. In a medium bowl, whisk the flours, soda, cream of tartar, and salt together. Set aside. In a small bowl, whisk the oil, egg, and vanilla together. Set aside. In the bowl of a stand mixer fitted with the paddle attachment, beat the butter and maple sugar together on medium-high speed until it's smooth and lighter in color, about three minutes. Reduce the speed and pour in the egg-oil mixture slowly. Increase the speed again and beat for another three minutes, scraping down the bowl as needed. It should be light, smooth, and glossy, like a mayonnaise. It's fine if you can see some bits of maple sugar in it, if your sugar was particularly coarse. Reduce the mixer speed to low and add the flour gradually. When it's mostly incorporated but there are still a few bits of flour, stop the mixer and finish mixing with a spatula or spoon. Use a small scoop to portion the dough onto the cookie sheets. I used a 2-teaspoon scoop and made exactly three dozen cookies. A tablespoon scoop should make two dozen. Using three fingers, lightly flatten the cookies to 1/4-inch thick. Sprinkle a little extra maple sugar on top, if desired. Bake at 350 degrees until the cookies are lightly browned around the edges and on the bottom, 13-15 minutes. The cookies will be firm enough to lift to look underneath - if they're soft, they're not done. Let the cookies cool on the pan for 2 minutes before putting them on a rack to cool completely. This book is available for pre-order and will be released on March 17. I received a copy from the publisher at no cost to me.